Since I started my GeoEd Trek blog over at the AGU Blogosphere, it has been tricky finding a balance between blogging what one audience will want to know professionally about my travels, and what the other audience (this audience, my students) will want to know about my travels (what did you eat, what was your hotel like, did you meet any famous people, etc.). I resolve to do better with this in the future – especially with an upcoming trip to that I absolutely want to document (stay tuned!). 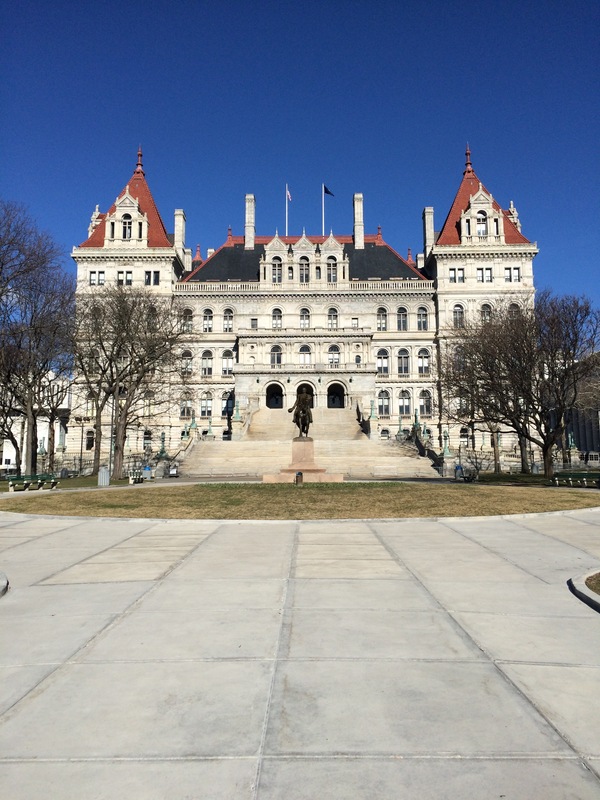 NY – Northeastern Geological Society of America, Albany, NY (March 21-23, 2016) – I think because I didn’t enjoy this meeting I wasn’t compelled to blog about it. But I have to keep in mind that this is part of the reason I do this blog, so that students see that faculty have successful professional networking events and presentations – yet, sometimes, not everything is as helpful or goes as planned. I co-chaired a session on Connecting K–12 and Higher Education: What Teachers Need, What Faculty Can Offer, I gave a presentation on The Society of Exploration Geophysicists (SEG) Wiki – A Geoscience Content Resource for Teachers and Middle/High School Students, and (the best part) I was able to do a very quick self-guided tour of the State Capital building. Chalk this up for another State Capitol I’ve seen during my travels! DC – Service Learning in Undergraduate Geosciences: A Workshop, Washington DC (April 20-21, 2016) – This was an exciting event and something that I feel makes a notable impact on not only student learning but pushing that learning beyond geoscience content – when service learning is embedded throughout a course. The workshop, held at the National Academy of Sciences in Washington DC, featured “invited presentations and discuss[ed] topics such as designing service-learning courses, assessing service-learning courses, research on service-learning, and providing training and support to faculty teaching service-learning courses.” I fully blogged about this event over at GeoEd Trek. Check out my posts on the pre-meeting, Day 1 AM, Day 1 PM, and Day 2 AM. 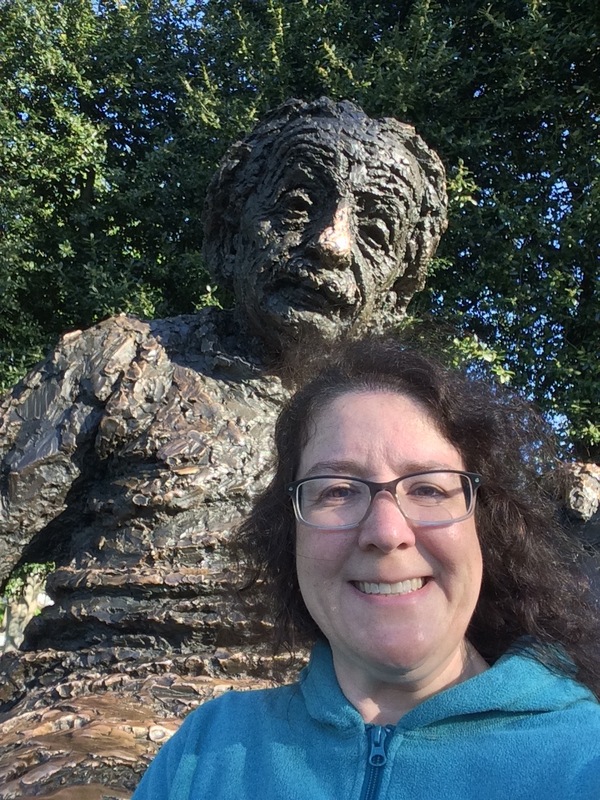 And, of course, I had to get the obligatory selfie with Albert! DC – AGU Meetings Committee meeting, Washington DC (June 13-14, 2016) – One of the ways I serve my discipline at the national level is by serving on the AGU Meetings Committee. This group works to support and advance AGU’s strategic plan through dissemination of Earth and space science research and in additional areas. This is my second year on the committee, and I’ve thoroughly enjoyed working with this passionate group of international scientists and students, as well as the ever-professional AGU staff. 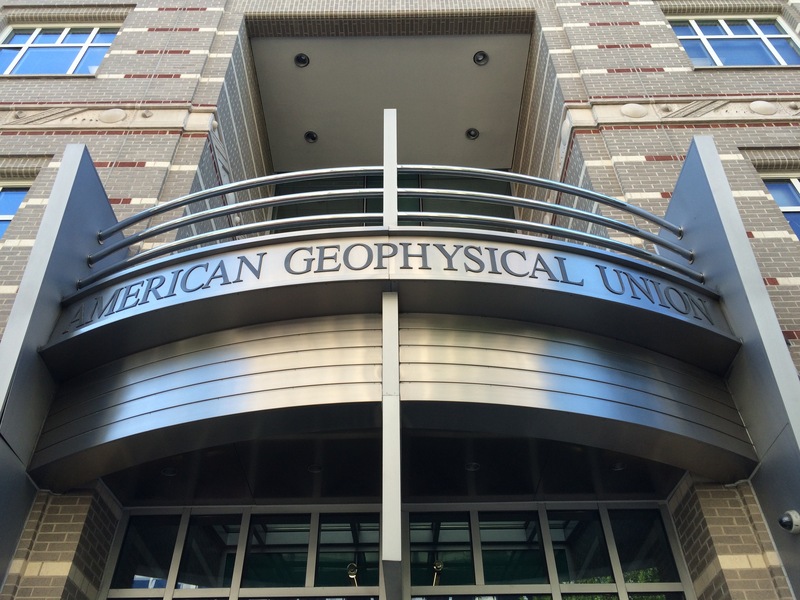 I blogged about our “meeting on meetings” at GeoEd Trek, June 2016 AGU Meetings Committee. No time to be a tourist on this trip – I headed down to DC and came right back. These are the short updates for the most recent meetings – but, as always, more are to come!